How to Prepare Kesar Chai at home? All you need is water, tea leaves, milk, saffron strands, sugar, and a few spices to make this super healthy beverage. 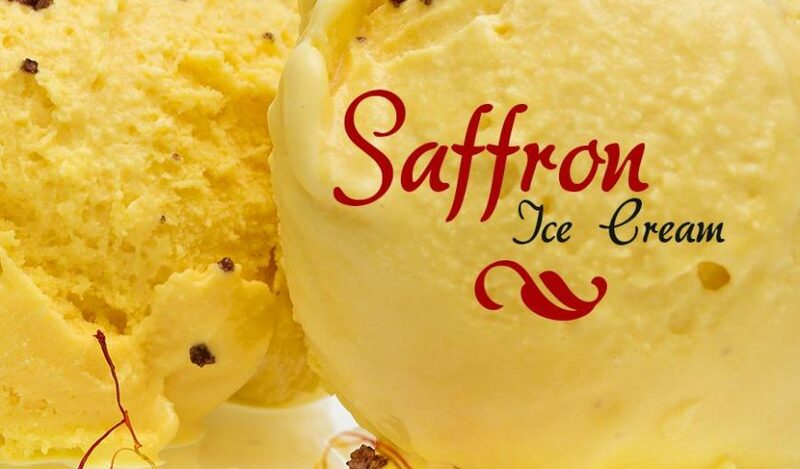 Addition of saffron or kesar in boiling water gives the flavor and aroma to tea. Try this Soothing and Refreshing chai/tea during a tea break or even for morning breakfast. 1. Take a pan and add water, along with the saffron strands and cardamom powder, pepper, cinnamon stick and give it a boil. 2. Once it begins to boil; add the tea leaves. Allow the tea leaves to simmer in the water for about a minute and turn off the heat. 3. Once you add the tea leaves, allow it to brew just a little to ensure the tea stays light and does not turn bitter. 4. Stir in the milk into the chai and allow it to rest for a few seconds. 5. Strain the Kesar chai into the cups and serve. Add a few more saffron strands to the top while serving, this will give a great look and also add to the taste and flavor of the chai. 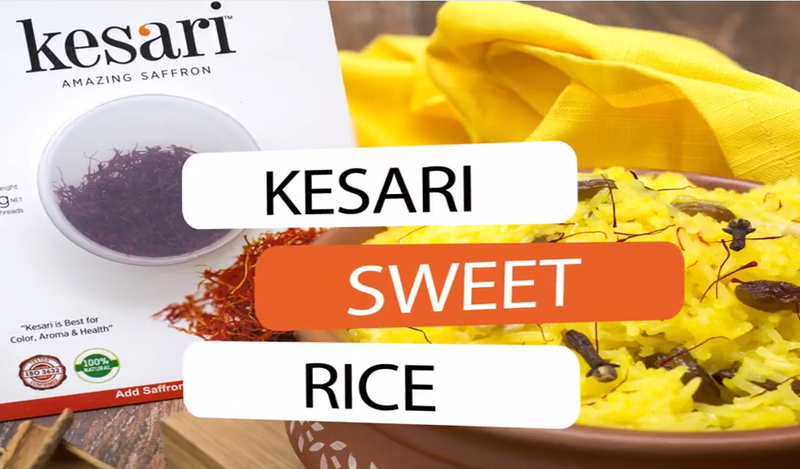 Enhance your Kesari Sweet Rice with our pure saffron! Take a saucepan, add some water and bring to boil. Add rice and let it cook for 15 minutes. Once the rice is cooked, remove it from the pan and drain under running cold water and keep aside. Now, take a small bowl and add saffron along with a little warm water. Keep it aside to infuse for 5-7 minutes. In a non-stick pan, add 2 tablespoon ghee to it. Then add cashews, Cinnamon, cloves and sauté for 2- 3 minutes. Then add drained rice to the pan and add sugar to it and mix it. After 2 minutes add the saffron infused milk to the rice and mix gently. Once cooked, transfer the rice to a serving bowl, garnish with saffron strands and serve hot. 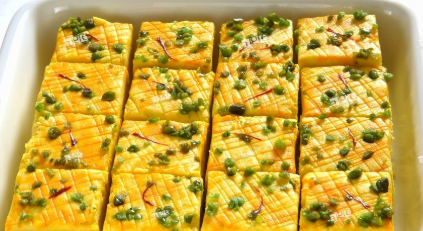 A traditional Indian milk based sweet which is usually prepared using khoya however this recipe is an instant version made with Condensed milk, Kesari saffron powder, milk, milk powder, and butter. 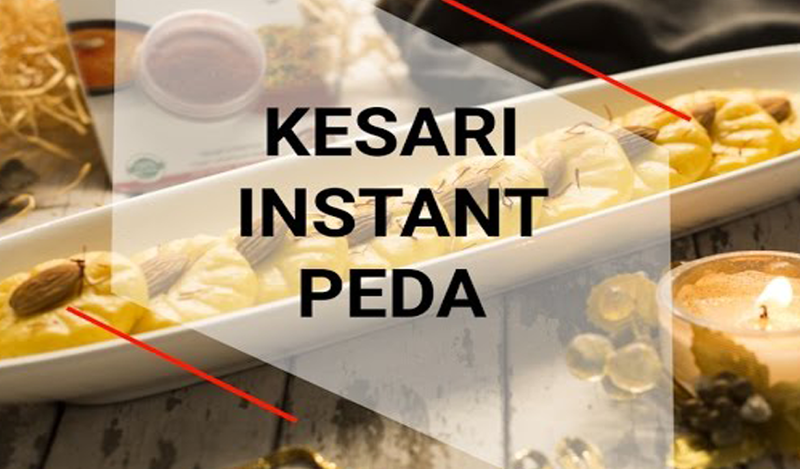 Finally, instant kesar milk pedas are garnished with almonds and saffron strands. In a pan, heat milk over low flame and transfer it to a small bowl. Add saffron powder, blend well and keep aside. In a non-stick pan, melt butter. Once melted, add the milk powder and mix well making sure that there are no lumps. Next add the condensed milk and cook for 3-4 minutes on low flame stirring continuously. Now, add the saffron infused milk to the condensed milk mixture, mix well and continue cooking for 7-8 minutes on low heat, until the mix becomes thick. Once the peda mix has become thick, transfer the mixture to a plate and let it cool for 30 minutes. After the mix has cooled, make small balls, flatten them out a little and crimp the edges using a toothpick to give them a peda shape. Once all the pedas are ready, gently press down an almond in the centre of the peda. Grind most of the Kesari saffron in a mortar and pestle, and put half of the powder into the milk, and heat until boiling point. Pour the boiling milk sugar mixture while continuously beating, and then return to the pan. Continue to warm on low heat until thickened, carefully stirring all the while (copper pans are a Godsend for this, it never burns). You probably measured the cream into a jug anyway, so pour the mixture into a jug of cream, mix it briefly. Add the rest of the saffron powder. Just let it sit until it’s cool enough to put in the ice cream machine. Put it in the ice cream machine according to the instructions. e.g. I switch mine on, let it cool for 5 minutes, then pour the ingredients in and let it mix until I hear it struggle because the mixture is frozen. Serve with a few strands of the remaining whole Kesari saffron threads atop, or pistachio slivers, or a fleck of gold leaf. Also, finely ground green cardamom works great instead of saffron. Line a fine meshed sieve with 2 layers of muslin cloth and keep aside. Bring the milk to a boil. When it has come to a boil, lower the flame and add 4 tbsp of lemon juice gradually with constant stirring of milk. As soon as the milk has separated into curds and whey, pour it through the muslin lined sieve. Tie the ends of the cloth and allow this to sit in a bowl of iced water for 10 minutes to allow the chenna to stop cooking. Squeeze out excess water and hang this over a bowl or the sink for 20 minutes for the water to drain out. Transfer the chenna to a mixer jar or a food processor. Add the powdered sugar and blend until you get a smooth paste. Place a non stick pan on heat with the chenna mixture on a medium flame. Stir around with a silicone spatula for 8-10 minutes until it is somewhat dry and comes together into a ball. In the final stage, add the Kesari Saffron powder and mix well until uniformly blended into the sandesh giving it a golden hue. Remove this into a lined baking tray. Press this down and smoothen the top. Garnish with a strand of saffron or a bit of chopped pistachio. Refrigerate for 30 minutes to an hour to allow it to set before cutting into desired shapes.